This 1936 vintage advertisement for Diamond Chain & MFG Co. of Indianapolis, IN. 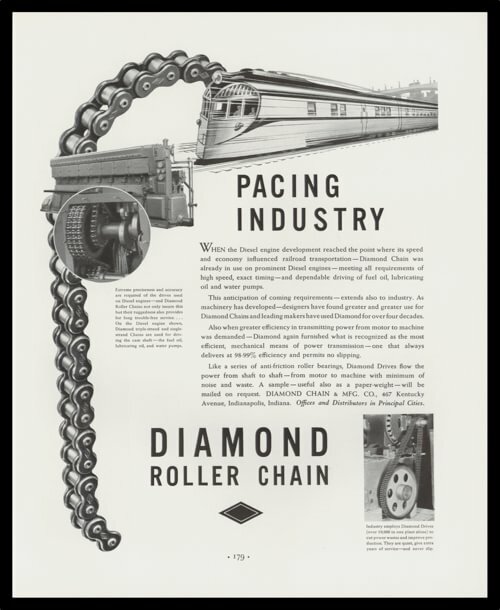 has a black and white art illustration of a streamliner train and a roller chain. 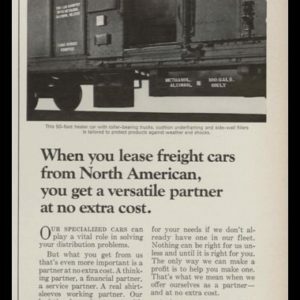 This is a 83 yr. old original vintage ad removed from a 1936 publication and is not a reproduction of any kind.